Delicious Veggie Noodle Recipes Ready In 30 Minutes Or Less #Infographic ~ Visualistan '+g+"
Zoodles, zucchini noodles, spiralized noodles, or veggie noodles—they’re all the same thing. But what is that exactly? Veggie noodles aren’t typical noodles infused with spinach or sundried tomatoes. They’re 100-percent vegetable. With the help of a zucchini spaghetti maker, a sharp knife, a box grater, or a vegetable peeler, you can create noodle-shaped vegetables you can use in hundreds of healthy recipes. 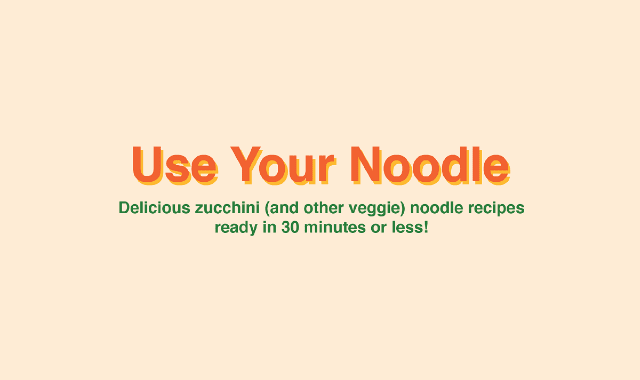 Check out the infographic below to learn how to make delicious veggie noodle recipes.